Has the look of your home started to go a bit downhill? Maybe the siding you currently have on your home is cracked or fading and simply doesn’t look good. Whatever the case may be for wanting new siding on your home one of the best types of siding you can choose for your home is vinyl siding. Vinyl siding has been a popular siding choice since its availability to home owners just a few decades ago. And if you’re considering vinyl siding in Dearborn Michigan be sure to check out these key reasons why we think it’s such a great idea. There are many reasons to get new siding installed on your home. The old siding may be failing and putting your home at risk for water damage. It may also be cracking and fading which can make it look bad causing your entire home to look bad. Or maybe you just want a new and updated look for your home. A look that doesn’t require a lot of maintenance and will keep it’s appearance for many years to come. If you’re looking for new siding for any of these reasons, then vinyl siding in Dearborn Michigan is a great choice for your new siding material. Here are some reasons why vinyl siding is a great choice for your Dearborn Michigan home. Vinyl siding is very popular siding choice for many home owners in Dearborn Michigan. Not only does it look great, perform well in this climate, and lasts for a long time. But it also is a very economical siding choice. In fact, installing vinyl siding on your home is likely the most inexpensive option when it comes to installing new siding when you compare other siding types which have similar durability and appearance. There are many different grades of siding you can choose from as well each with different pricing. If you’re looking for a great siding material that is economical then vinyl siding is a great choice. Having a new siding project done on your home can have a huge impact on the appearance of the home. This impact can also influence the curb appeal of the home which can affect the value of the home. Anything you do to make the home look better on the exterior can increase the curb appeal of the home and with vinyl siding added to your home it can impact the curb appeal that much more simply because it’s such a large home improvement project. The difference in value will depend on what the home looked like before the new vinyl siding was added. There are many options that are available today which can make your home more energy efficient when adding new siding to the home. Vinyl siding of specific colors can even have an effect on energy efficiency. There are also different grades of siding you can choose from which each have different energy ratings as well so choosing a better quality vinyl siding or picking a insulating layer that is more energy efficient is best for energy savings. Are you considering an addition to your home in the coming months or years? One of the best features of vinyl siding is that it won’t fade like other siding or painted surfaces will do. Vinyl siding manufactured today have a coating that is applied to the siding that is designed to block the harmful UV rays that causes the siding to fade. So even if your home has had vinyl siding before that has faded, newer, more modern siding doesn’t fade and can last for many decades. Plus, if you add any rooms on your home you’ll simply need to add the same siding you have installed to make the entire home look uniform which may not be available if you use other siding options. 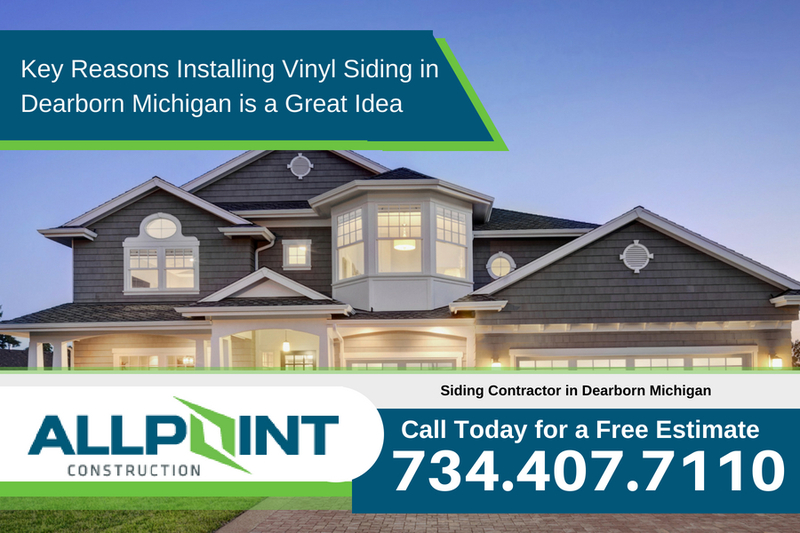 Are you considering getting new vinyl siding for your Dearborn Michigan home? 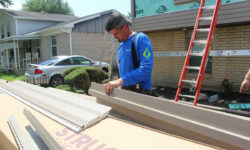 If so, be sure to call the area’s number one siding contractor which is All Point Construction today at 734-407-7110. 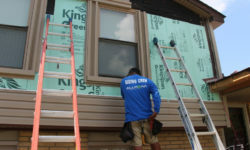 All Point Construction is a fully licensed and insured home improvement contractor and offers free consultations on siding projects in Dearborn Michigan.